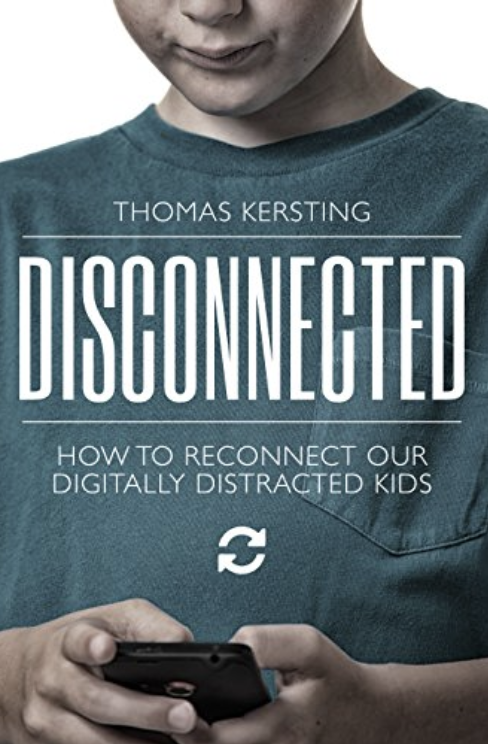 In Disconnected, renowned psychotherapist and longtime school counselor Tom Kersting explores the device-dependent world our children live in and how it is impacting their mental and emotional well-being. Research shows that too much time in the cyber world is re-wiring kids’ brains, affecting their ability to flourish in the real world as anxiety, depression, and attention issues soar. Thankfully, it is not too late to save our children. Kersting provides simple strategies to help reduce screen time as well as a host of meditative and mindfulness techniques to help our kids reclaim their brains, and their lives. A highly readable and entertaining first look at how today’s members of iGen—the children, teens, and young adults born in the mid-1990s and later—are vastly different from their Millennial predecessors, and from any other generation. As this new group of young people grows into adulthood, we all need to understand them: Friends and family need to look out for them; businesses must figure out how to recruit them and sell to them; colleges and universities must know how to educate and guide them. And members of iGen also need to understand themselves as they communicate with their elders and explain their views to their older peers. Because where iGen goes, so goes our nation—and the world. What is new about how teenagers communicate through services such as Facebook, Twitter, and Instagram? Do social media affect the quality of teens’ lives? In this eye-opening book, youth culture and technology expert danah boyd uncovers some of the major myths regarding teens' use of social media. She explores tropes about identity, privacy, safety, danger, and bullying. Ultimately, boyd argues that society fails young people when paternalism and protectionism hinder teenagers’ ability to become informed, thoughtful, and engaged citizens through their online interactions. Yet despite an environment of rampant fear-mongering, boyd finds that teens often find ways to engage and to develop a sense of identity. Boyd’s conclusions are essential reading not only for parents, teachers, and others who work with teens but also for anyone interested in the impact of emerging technologies on society, culture, and commerce in years to come. You’ll then make customized changes to your settings, apps, environment, and mindset that will ultimately enable you to take back control of your life. In this revolutionary book, Adam Alter, a professor of psychology and marketing at NYU, tracks the rise of behavioral addiction, and explains why so many of today's products are irresistible. Though these miraculous products melt the miles that separate people across the globe, their extraordinary and sometimes damaging magnetism is no accident. The companies that design these products tweak them over time until they become almost impossible to resist. By reverse engineering behavioral addiction, Alter explains how we can harness addictive products for the good—to improve how we communicate with each other, spend and save our money, and set boundaries between work and play—and how we can mitigate their most damaging effects on our well-being, and the health and happiness of our children. 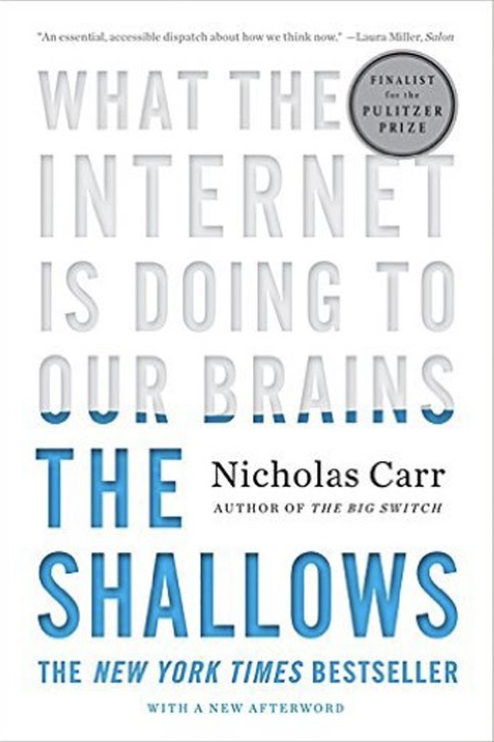 Carr discusses the intellectual and cultural consequences of the Internet, and how it may be transforming our neural pathways for the worse. He describes how human thought has been shaped through the centuries by “tools of the mind”―from the alphabet to maps, to the printing press, the clock, and the computer―Carr interweaves a fascinating account of recent discoveries in neuroscience by such pioneers as Michael Merzenich and Eric Kandel. Our brains, the historical and scientific evidence reveals, change in response to our experiences. The technologies we use to find, store, and share information can literally reroute our neural pathways.